Chinese cinema rides high at the global box office this week with two science-fiction films -- "The Wandering Earth" and "Crazy Alien" -- taking first and second place respectively. They are followed by "The Lego Movie 2: The Second Part." 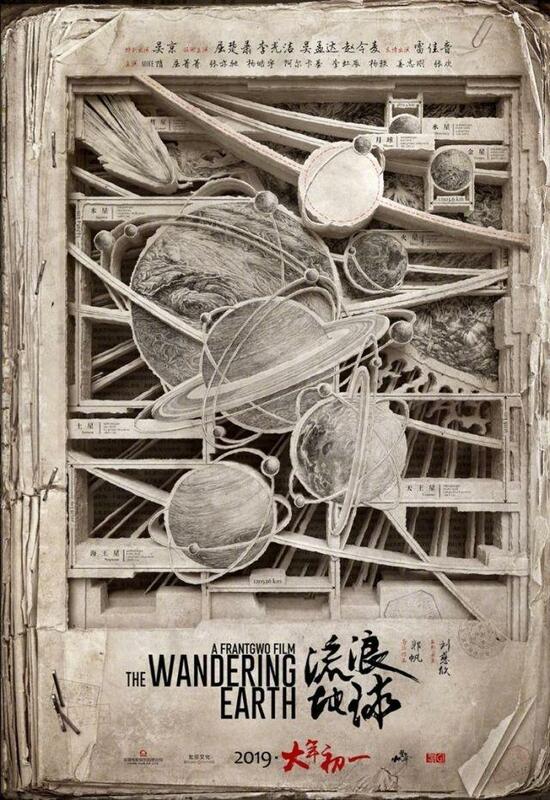 Frant Gwo's science-fiction movie, "The Wandering Earth" jumps straight in to number one at the global box office, grossing over $172 million worldwide. The film's success is partly due to its release in China, February 5, also marking Chinese New Year 2019. Also proving popular with Chinese audiences, "Crazy Alien" grossed just over $77 million during its opening weekend. The movie does not yet have a US release date. The second big-screen "Lego" adventure, the "The Lego Movie 2: The Second Part," sits in third at the worldwide box office. The animated picture directed by Mike Mitchell, grossed over $53 million during its first weekend in theaters. The first "Lego" movie, released in 2014, grossed over $469 million worldwide. Last week's box-office leader, "How To Train Your Dragon: The Hidden World" drops to fifth place, nevertheless adding just over $38 million to its global grosses.